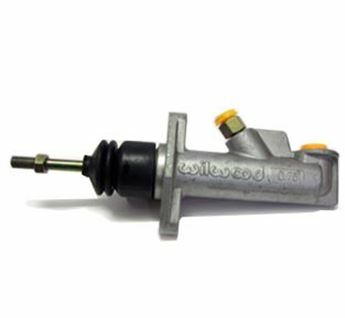 These residual pressure valves are perfect for use on many off-road applications but also street rods and drag racing. Wilwood Compact Remote Reservoir Master Cylinders are the perfect solution for club sport racers, small open wheel cars or any other custon application where space is limited for master cylinders and fluid reservoirs. 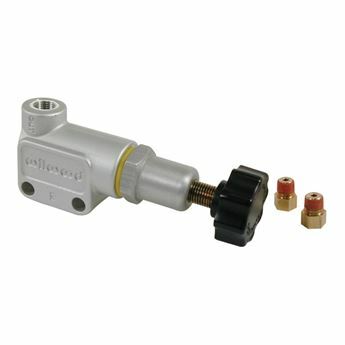 This Wilwood brake proportioning valves is adjustable between 100 and 1,000 psi with the twist of a knob. 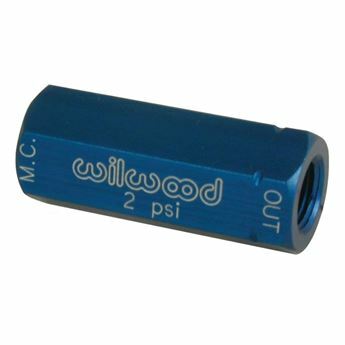 This valve can also reduce pressure up to 57 percent.